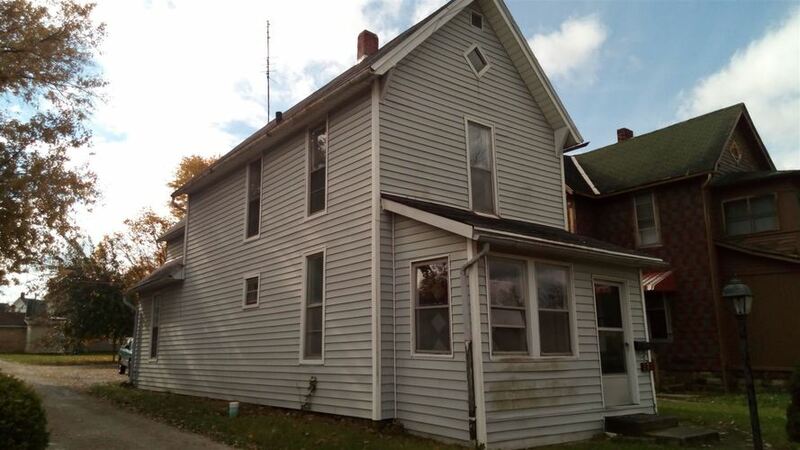 GREAT POTENTIAL IN THIS HOME....yes, it does need some tender-loving-care, but, it has "good bones" to work with!!! Four bedrooms with master bedroom on the first floor. Has laminate flooring on the main level and carpet in the upstairs. Very nice paved back parking lot in the back of house for off-street parking plus a utility shed for your lawn supplies. Enclosed front porch to enjoy your morning coffee on. There are no major appliances left in the home. This is in an Estate and they would like to sell the property quickly to be able to settle the estate in 2018. Only CASH or CONVENTIONAL buyers since the home is being sold in "AS-IS/WHERE-IS-CONDITION"...easy to show...set your appointment TODAY! Would make an excellent investment property.